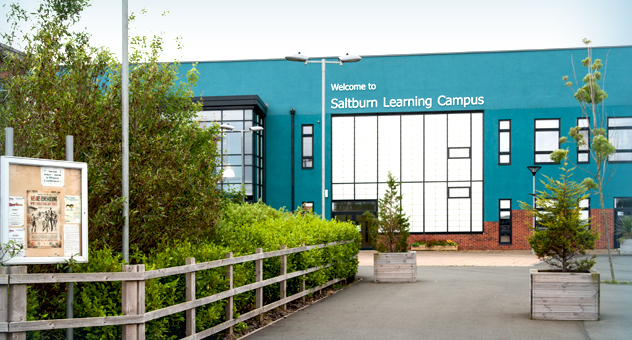 Saltburn Learning Campus is a thriving, vibrant and inspiring centre. It is the home of Saltburn Primary School, Huntcliff Secondary School and Saltburn’s Sure Start Centre, established as one campus in 2009. The federation between the primary and secondary schools in 2013 allowed for a formal collaboration to take place, with many projects and initiatives happening across the campus and within the different age ranges. In 2014 both schools were awarded Foundation Status, becoming full members of the East Cleveland Cooperative Learning Trust with more opportunities to work together in partnership with local schools to help raise the achievement of learners.